Order books open for new Volkswagen Polo: Lease yours today! 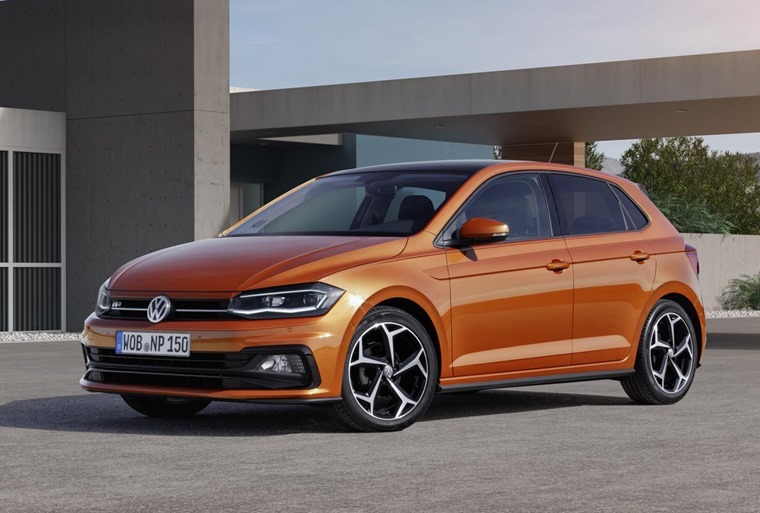 The sixth-gen Volkswagen Polo is available to order from today, with prices for the entry-level S trim confirmed at £13,855 OTR. With eight years between the all-new car and the outgoing model, changes and enhancements are evident everywhere you look. 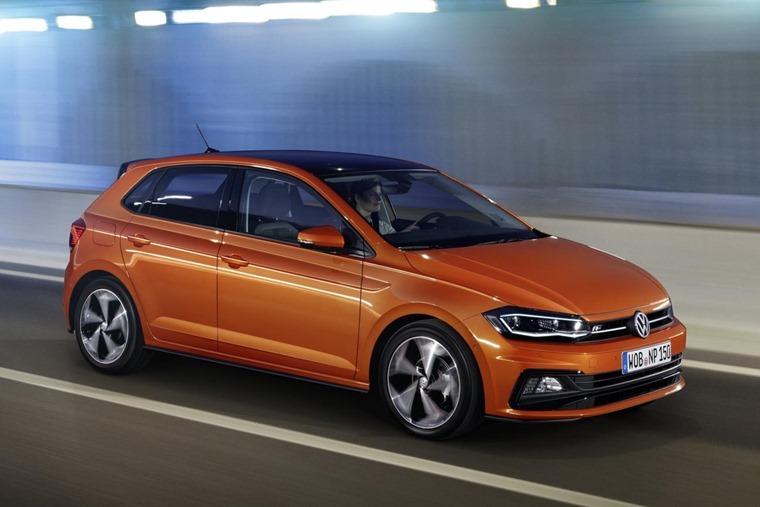 Externally, the Polo is bigger than ever before at 4,053mm in length offering a boot volume that has grown 25%, from 280 litres to 351 litres. 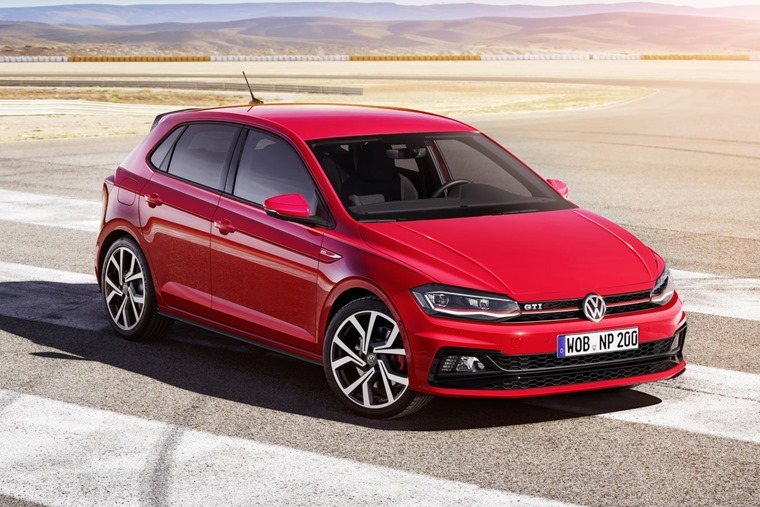 This has given it a much more grown-up appearance, with many of the larger Golf’s styling cues carried over too. This is most noticeable at the front, where a new grille and larger headlights give off a more aggressive demeanour than Polos of the past. 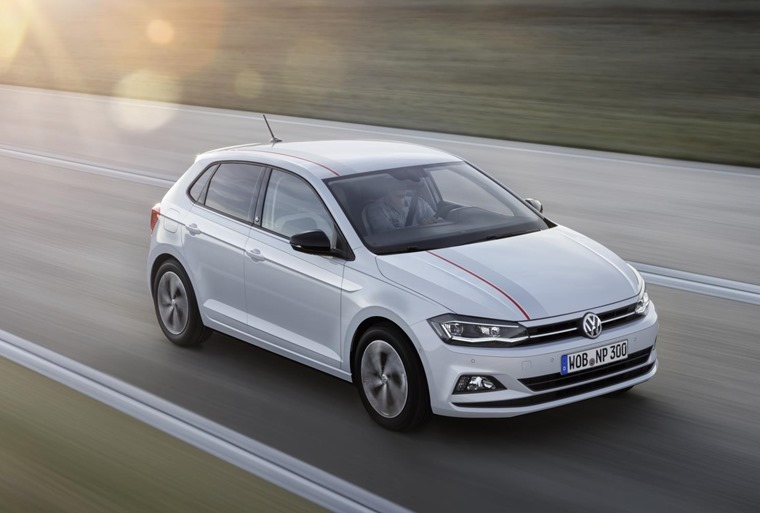 The developments in Polo – which has found a home with more than 1.4 million drivers in the UK over the last 42 years – also reflect a new level for assistance systems in the supermini segment. Technologies such as City Emergency Braking with new Pedestrian Monitoring function, Adaptive Cruise Control, and Blind Spot Detection significantly improve safety. Sitting on Volkswagen Group’s latest MQB A0 platform, there’s a variety of the latest TSI (petrol) and TDI (turbo diesel) engines available in the new Polo. All are Euro VI compliant and the petrol line-up will, later in 2018, include the use of the new 1.5 TSI EVO petrol (150 PS) with ACT Active Cylinder Technology to deliver two-cylinder deactivation for increased efficiency and reduced emissions. The six three- and four-cylinder petrol engines range from the naturally aspirated 1.0 MPI with 65 PS to the turbocharged 2.0 TSI with 200 PS. All petrol engines with up to 150 PS belong to the efficient EA211 engine family, while the 2.0 TSI engine comes from the third generation EA888 series notably also seen – in larger output forms – in the new Golf GTI, Golf GTI Performance and the range-topping Golf R.
As a diesel the Polo will offer a choice of two 1.6 TDI engines whose outputs are 80 PS and 95 PS respectively. Both four-cylinder engines belong to the EA288 engine family and feature an SCR catalytic converter. 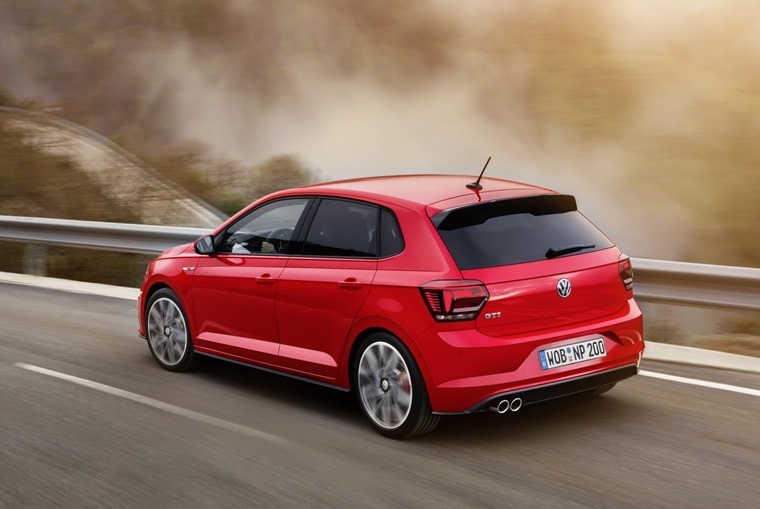 Regardless of fuel choice, all new Polo engines are equipped with a stop-start system and a regenerative braking mode, while any of the TSI and TDI powerplants with an output of 95 PS or more can be configured with a 6- or 7-speed DSG automatic gearbox, depending on engine choice. Alternative gearbox options include five- or six-speed manuals. 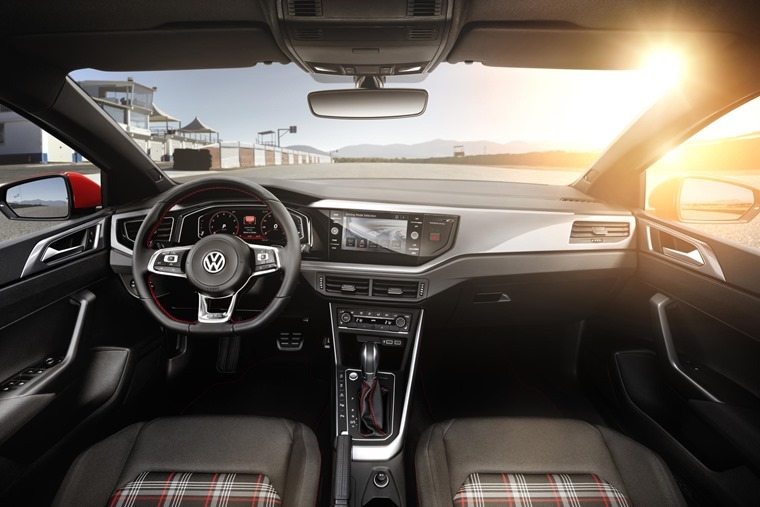 Commenting on the arrival of new Polo Alison Jones, director of Volkswagen in the UK, said: “Our roomy new supermini is packed with new technology. Put simply, the new Polo is bigger and better than ever before. “It now offers more space inside for passengers and luggage, more advanced technology thanks to the new MQB AO architecture, more safety, more comfort, more convenience and more style than any previous version.